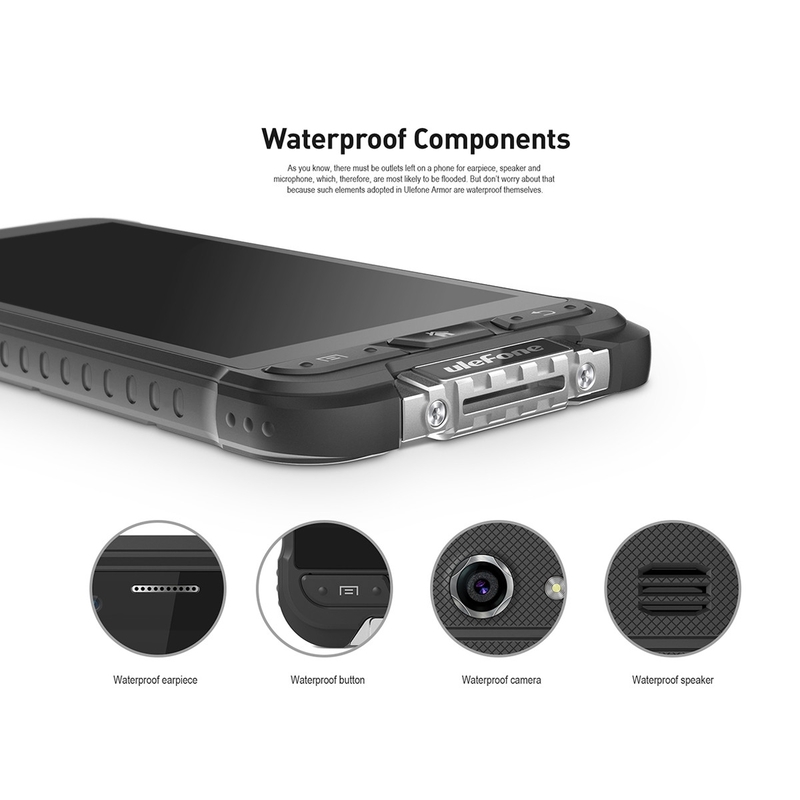 The inner structure of Ulefone Armor is precisely designed to minimize water pressure; Wherever there is inevitable gap, there is waterproof film to fill it; and the outermost shell was stuck with waterproof gum. 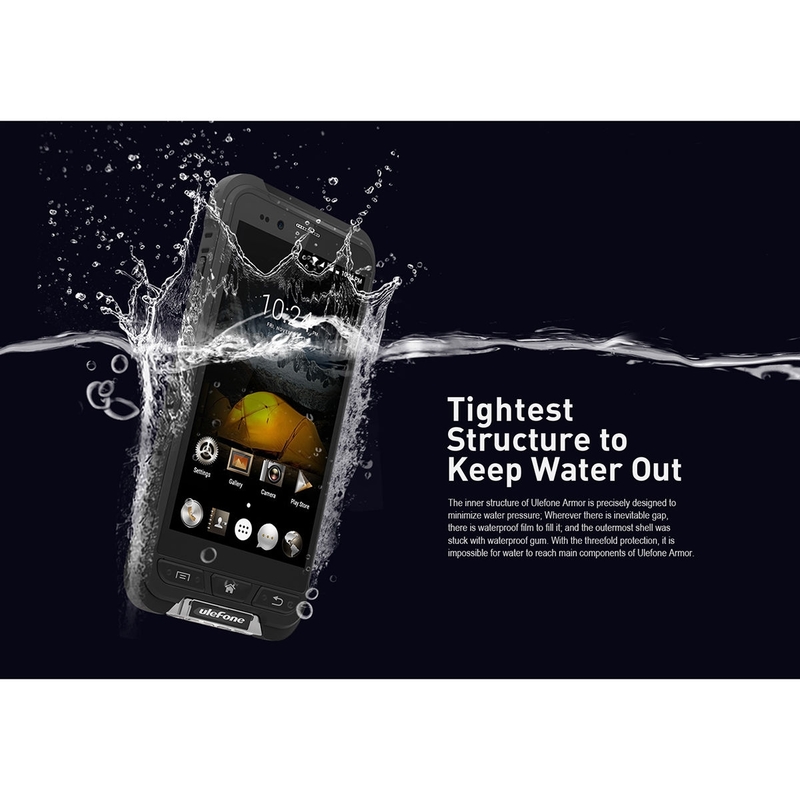 With the threefold protection, it is impossible for water to reach main components of Ulefone Armor. As you know, there must be outlets left on a phone for earpiece, speaker and microphone, which, therefore, are most likely to be flooded. 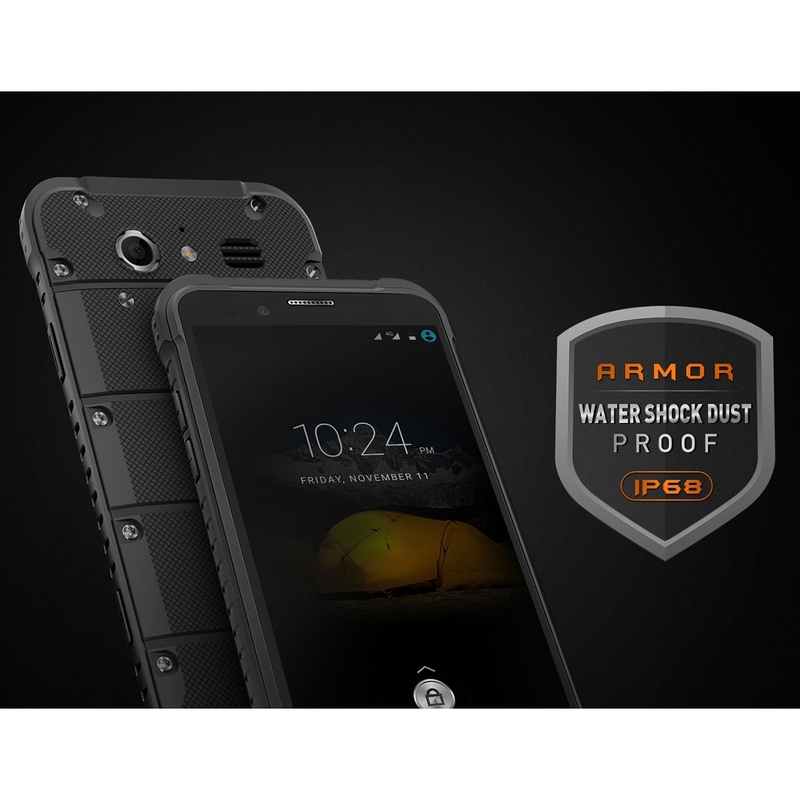 But don’t worry about that because such elements adopted in Ulefone Armor are waterproof themselves. 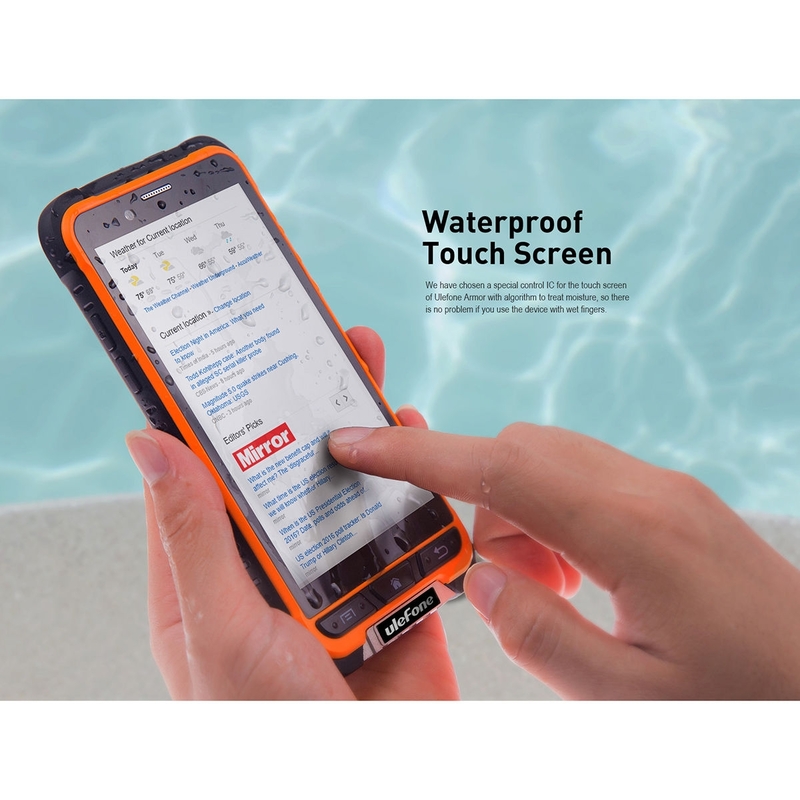 We have chosen a special control IC for the touch screen of Ulefone Armor with algorithm to treat moisture, so there is no problem if you use the device with wet fingers. 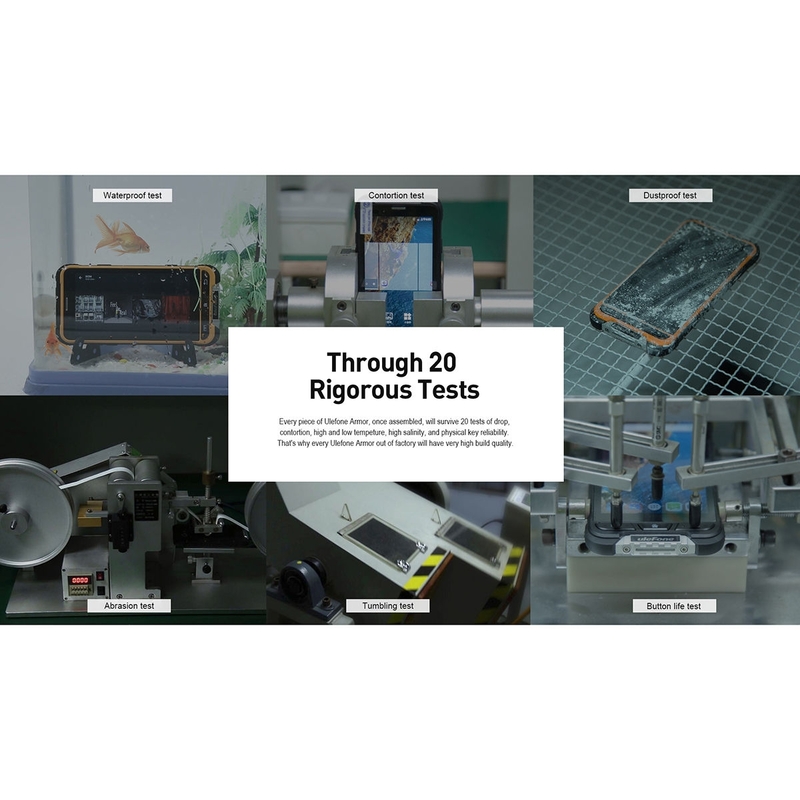 Every piece of Ulefone Armor, once assembled, will survive 20 tests of drop, contortion, high and low tempeture, high salinity, and physical key reliability. 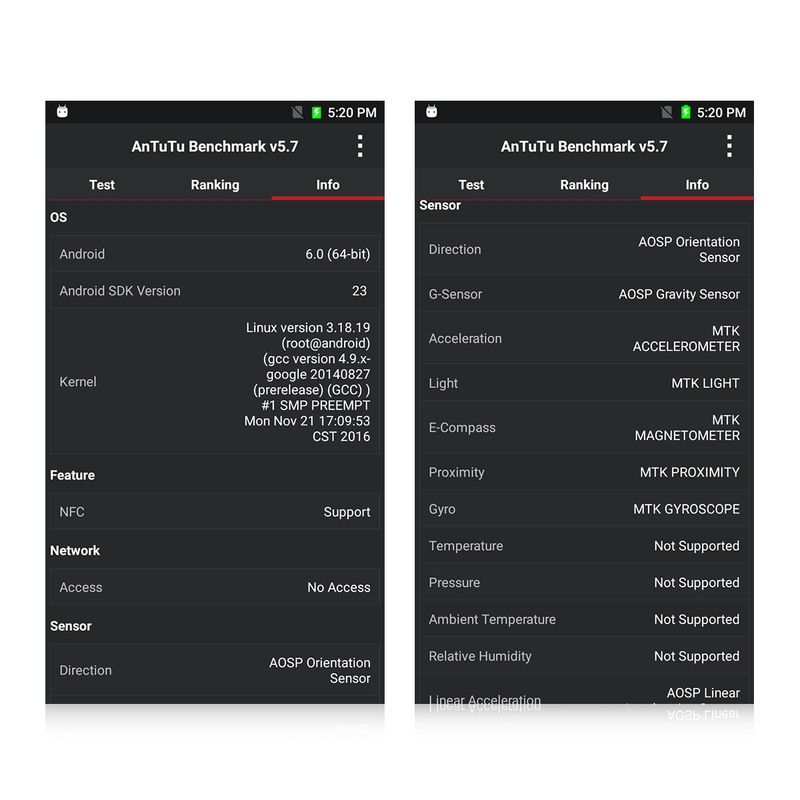 That’s why every Ulefone Armor out of factory will have very high build quality. 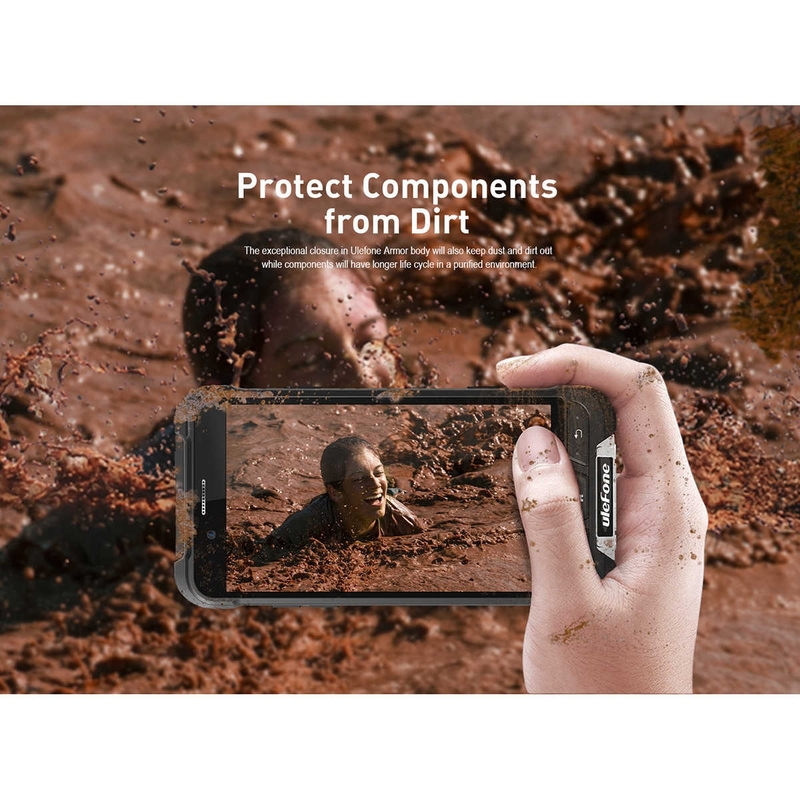 The exceptional closure in Ulefone Armor body will also keep dust and dirt out while components will have longer life cycle in a purified environment. 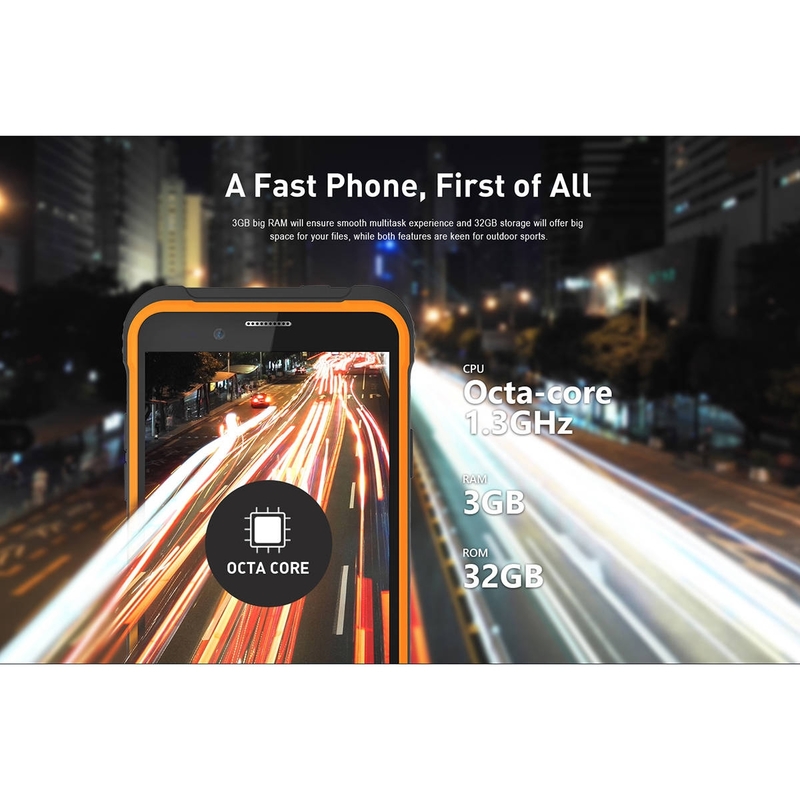 Ulefone Armor has adopted a 4.7-inch high quality LTPS display with the HD resolution, which means the pixel density has reached as high as 313PPI. Such a resolution will allow you to see very smooth images of high integrity. 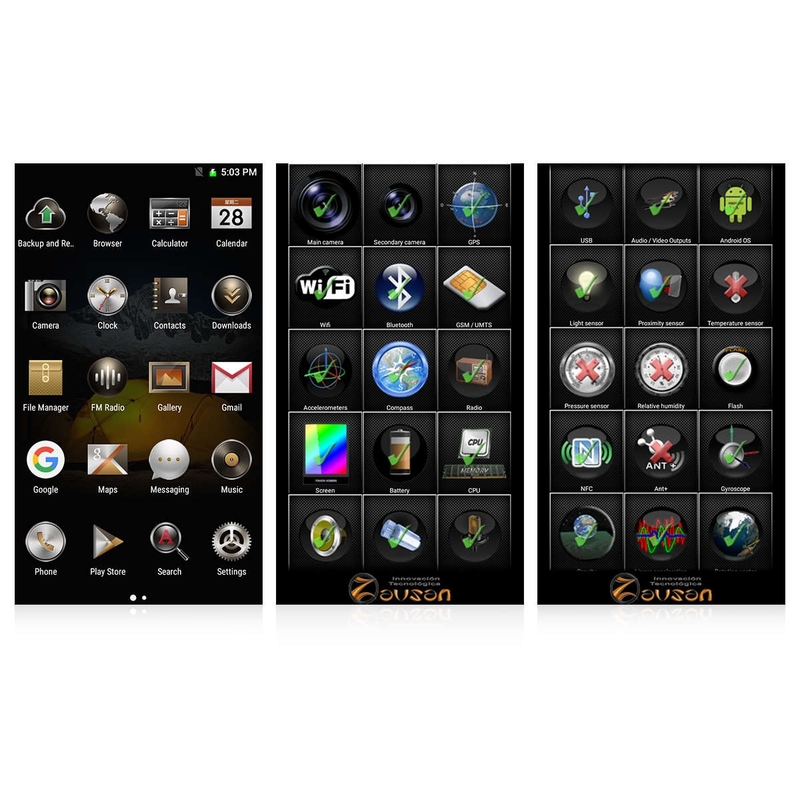 Besides, we have adopted the cutting-edge color management algorithm to ensure precise display of colors. 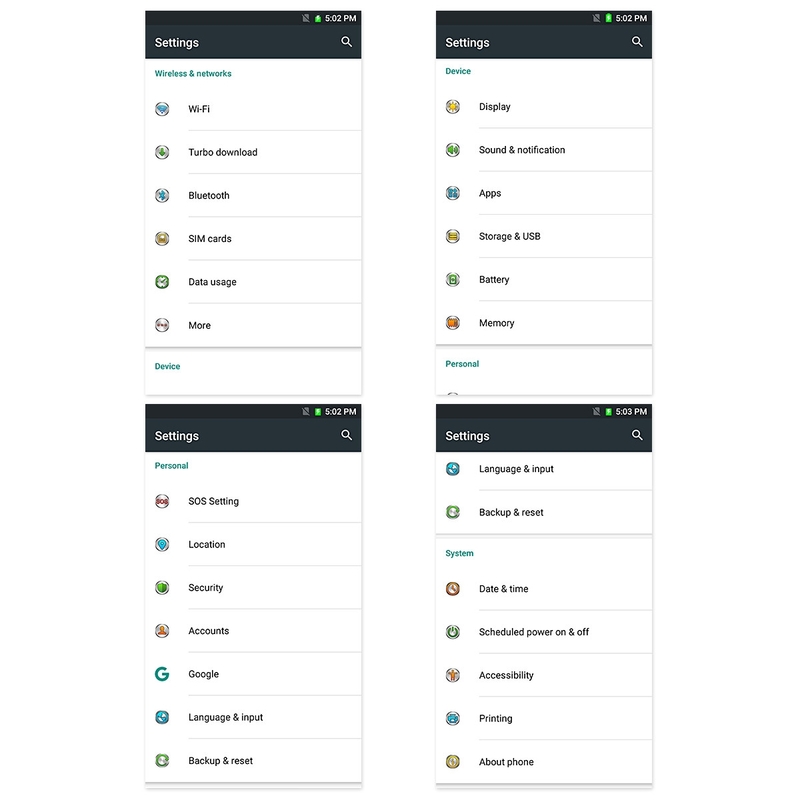 3GB big RAM will ensure smooth multitask experience and 32GB storage will offer big space for your files, while both features are keen for outdoor sports. 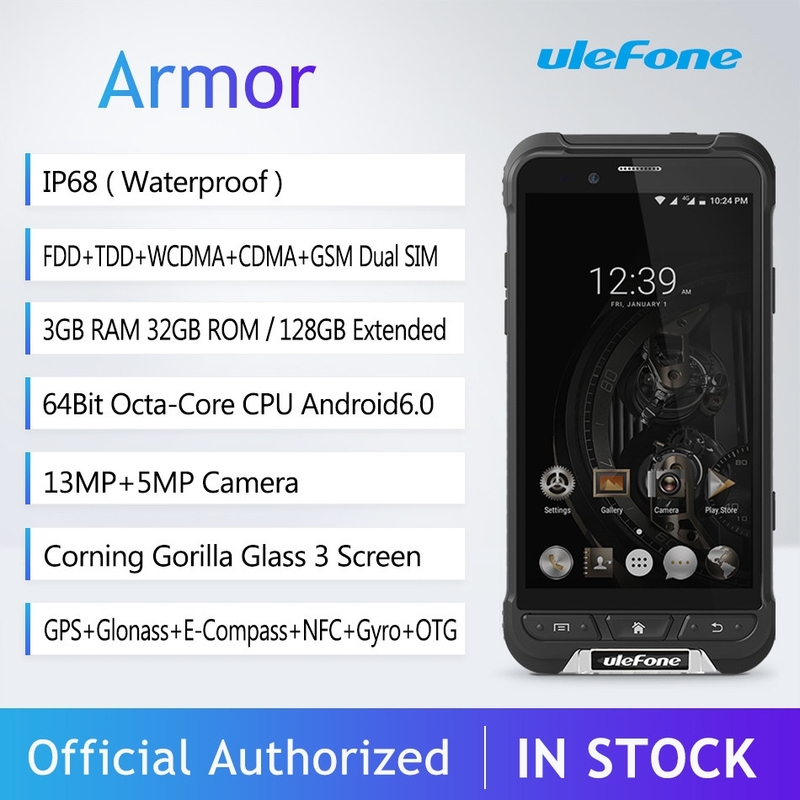 Ulefone Armor is equipped with 13MP back camera, 5MP camera front camera and 5-piece lens kit for both. 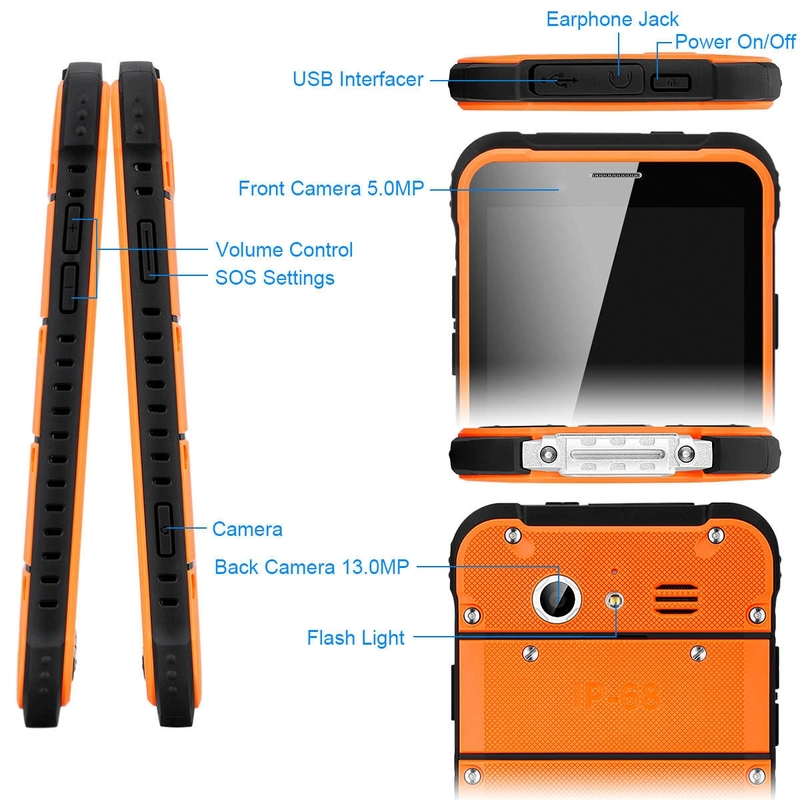 It will be a great device for outdoor photography. Besides, just one click on the physical key on the lower right frame will start the camera as well as let it take a picture. 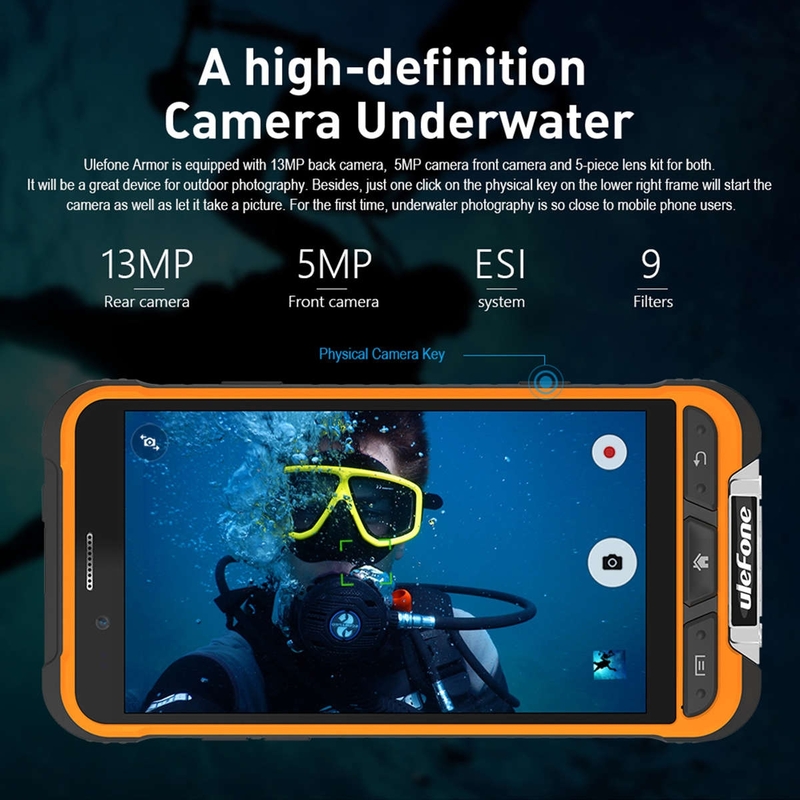 For the first time, underwater photography is so close to mobile phone users. 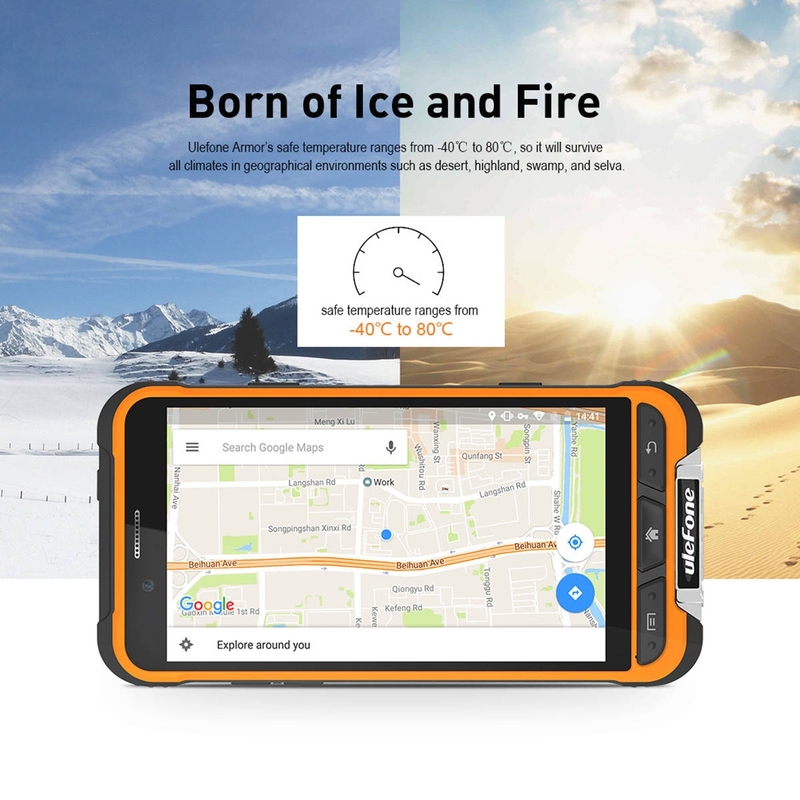 Ulefone Armor’s safe temperature ranges from -40℃ to 80℃, so it will survive all climates in geographical environments such as desert, highland, swamp, and selva. 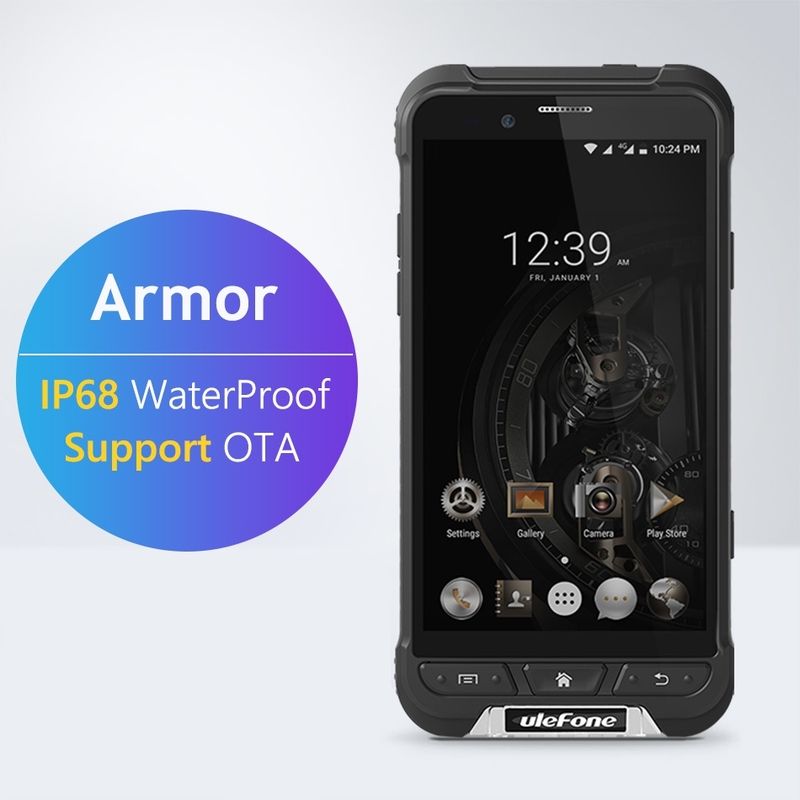 Thanks to the compact design for water and shock proof, Ulefone Armor has quite slim body which measures only 148.9mm/75.8mm/12.5mm. 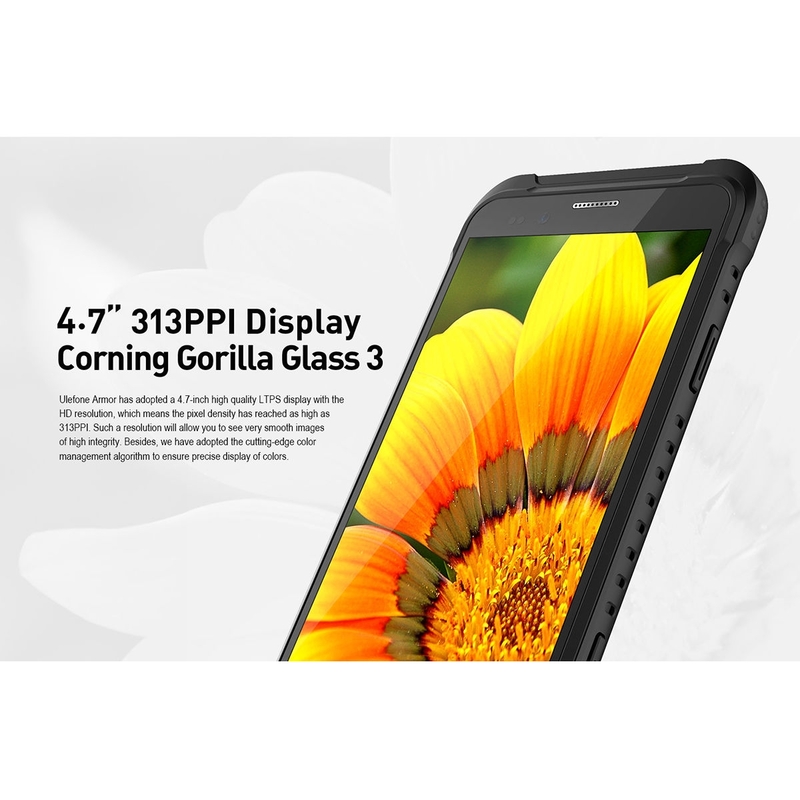 And the 4.7inch midsize display has greatly improved grip feel and operation.The physical keys under the display of Ulefone Armor will offer reliable feedback to your fingers, and of course your fingers will find them more easily than do capacitive keys. 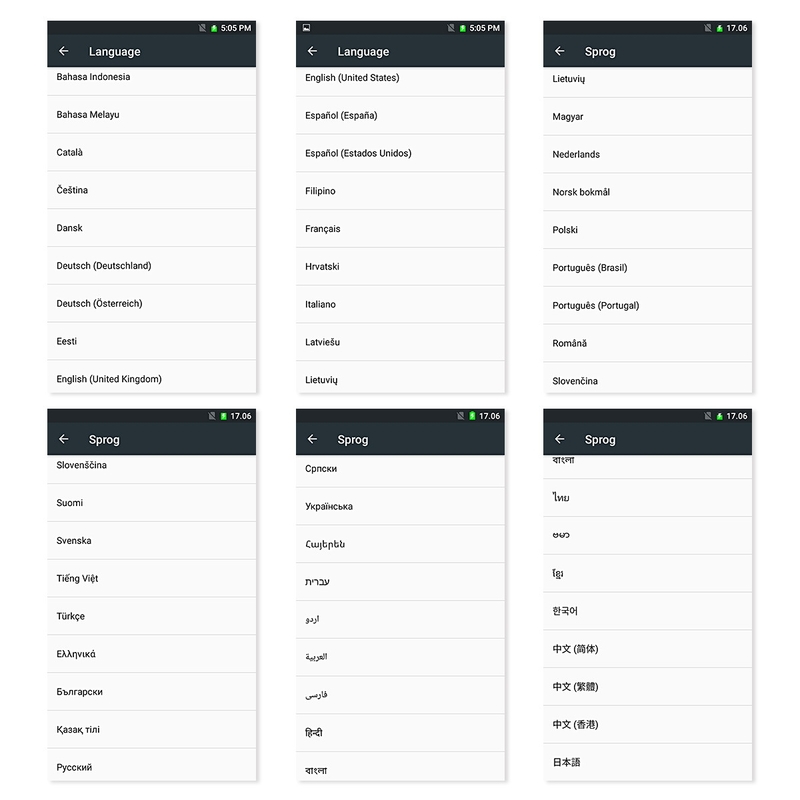 You can set one of your phone contacts as SOS number. 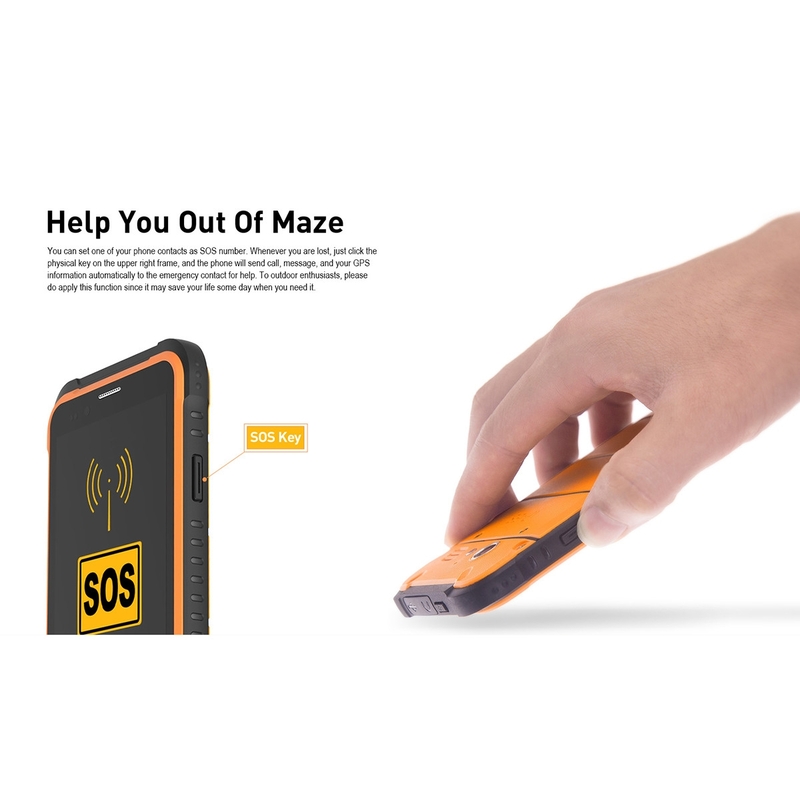 Whenever you are lost, just click the physical key on the upper right frame, and the phone will send call, message, and your GPS information automatically to the emergency contact for help. To outdoor enthusiasts, please do apply this function since it may save your life some day when you need it. 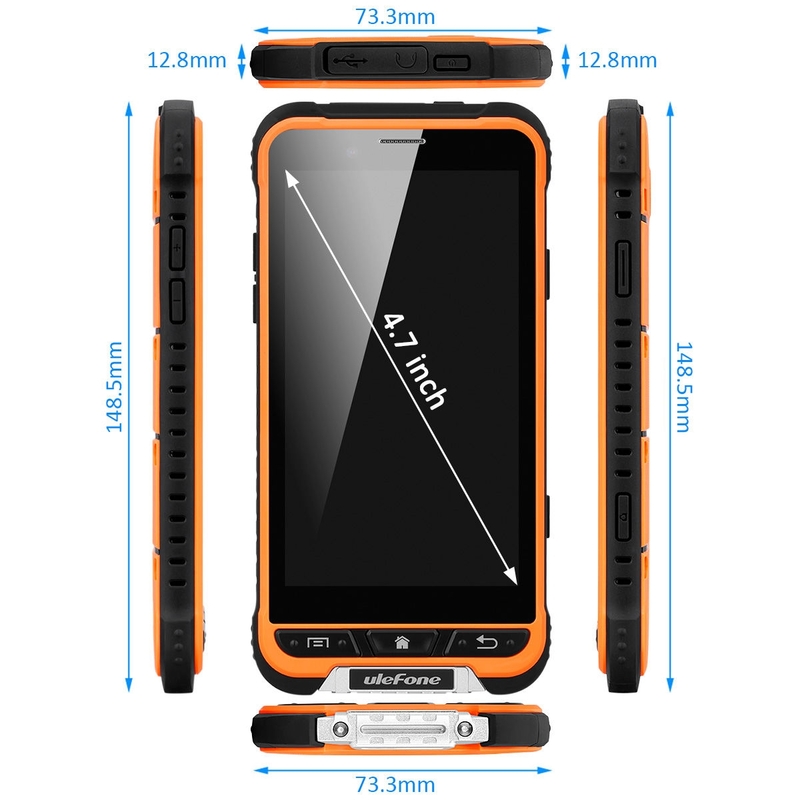 The polycarbonate and TPU used on Ulefone Armor has very good signal transparency, thus the chipset has high sensibility as if it is naked to GPS and Glonass signals. 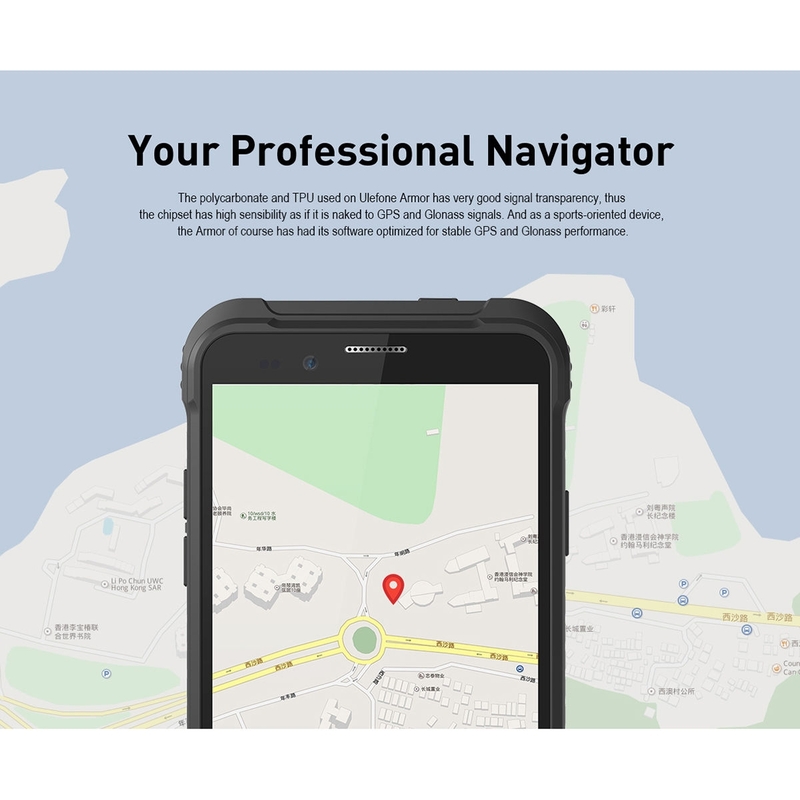 And as a sports-oriented device, the Armor of course has had its software optimized for stable GPS and Glonass performance. 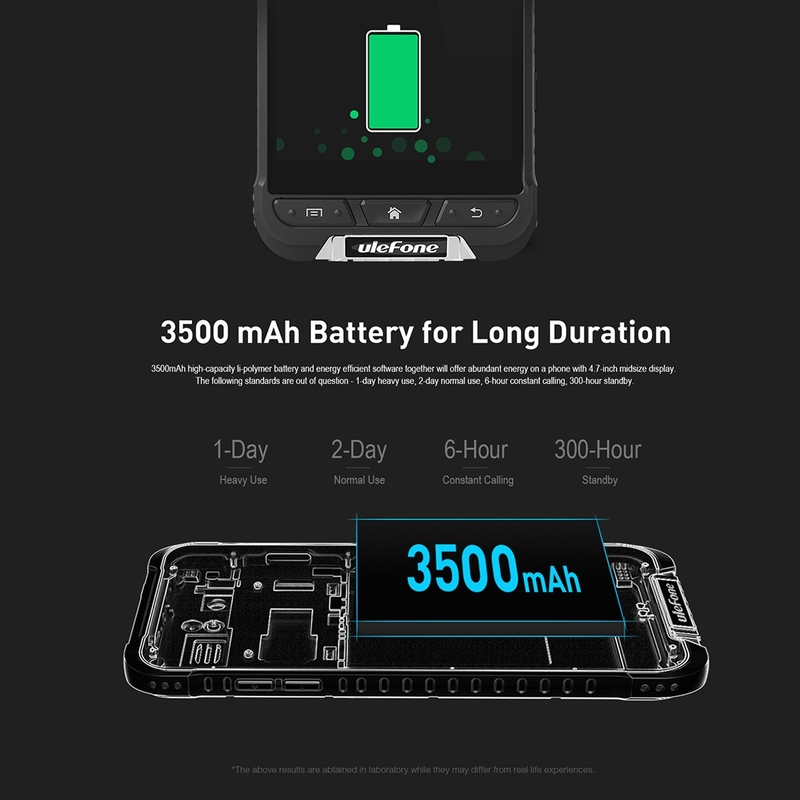 3500mAh high-capacity li-polymer battery and energy efficient software together will offer abundant energy on a phone with 4.7-inch midsize display. The following standards are out of question – 1-day heavy use, 2-day normal use, 6-hour constant calling, 300-hour standby. *The above results are abtained in laboratory while they may differ from real life experiences. 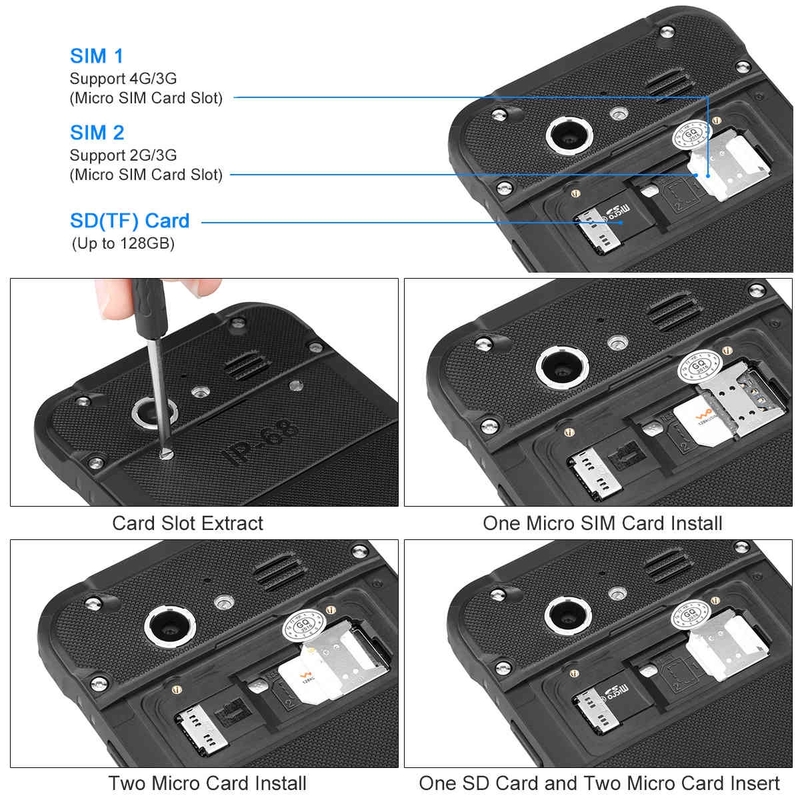 Ulefone Armor is compatible with 18 2G/3G/4G frequency bands in 6 telecom standards and so will support SIM cards in most countries. 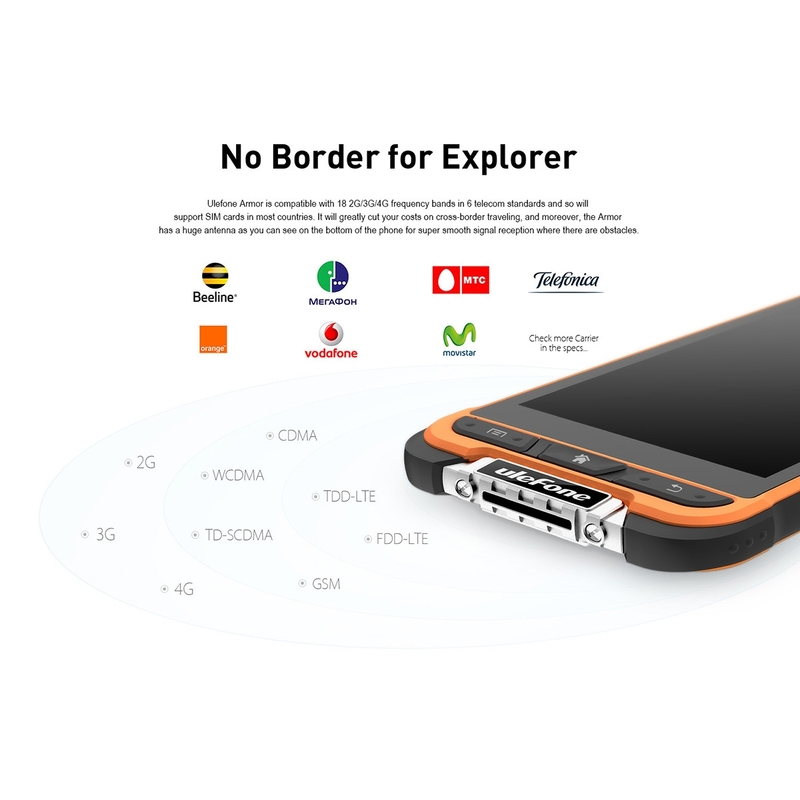 It will greatly cut your costs on cross-border traveling, and moreover, the Armor has a huge antenna as you can see on the bottom of the phone for super smooth signal reception where there are obstacles. 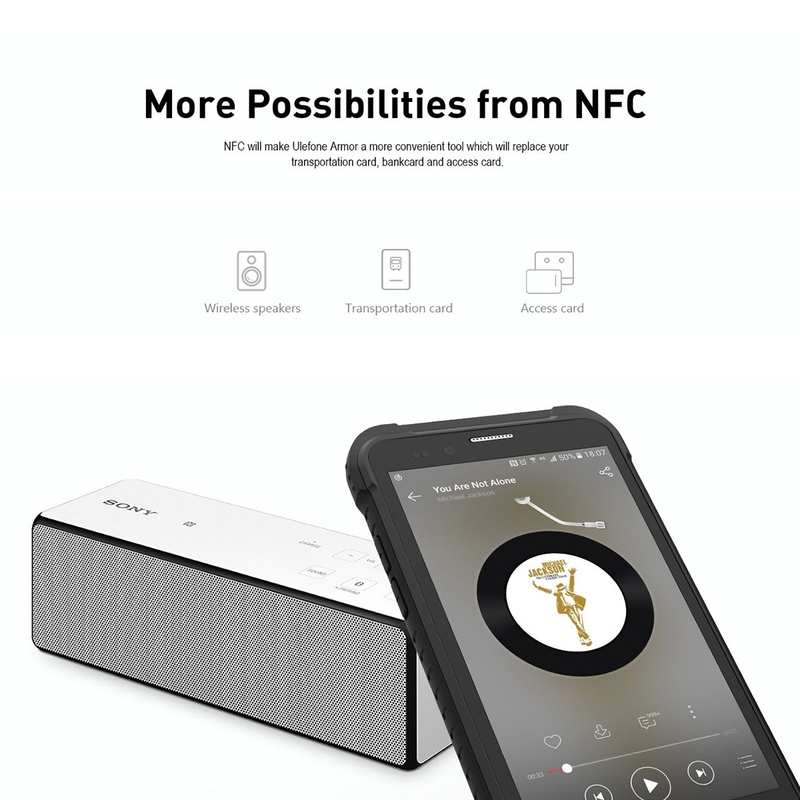 NFC will make Ulefone Armor a more convenient tool which will replace your transportation card, bankcard and access card. 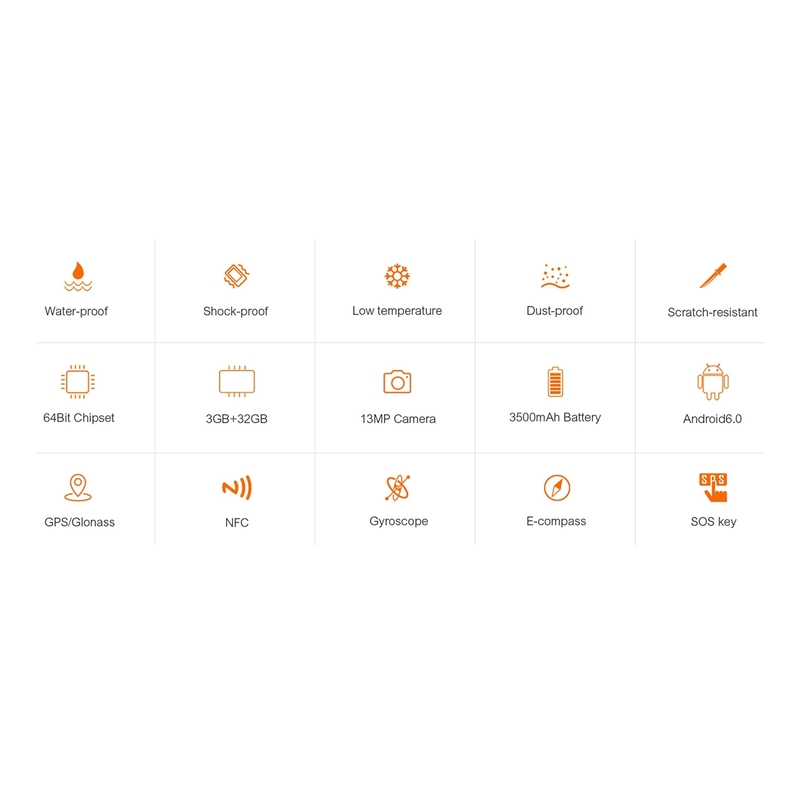 Besides providing smooth performance, the Marshmallow OS on Ulefone Armor is specially optimized for energy efficiency, GPS navigation, and telecom signals, which are more important for outdoor enthusiasts. 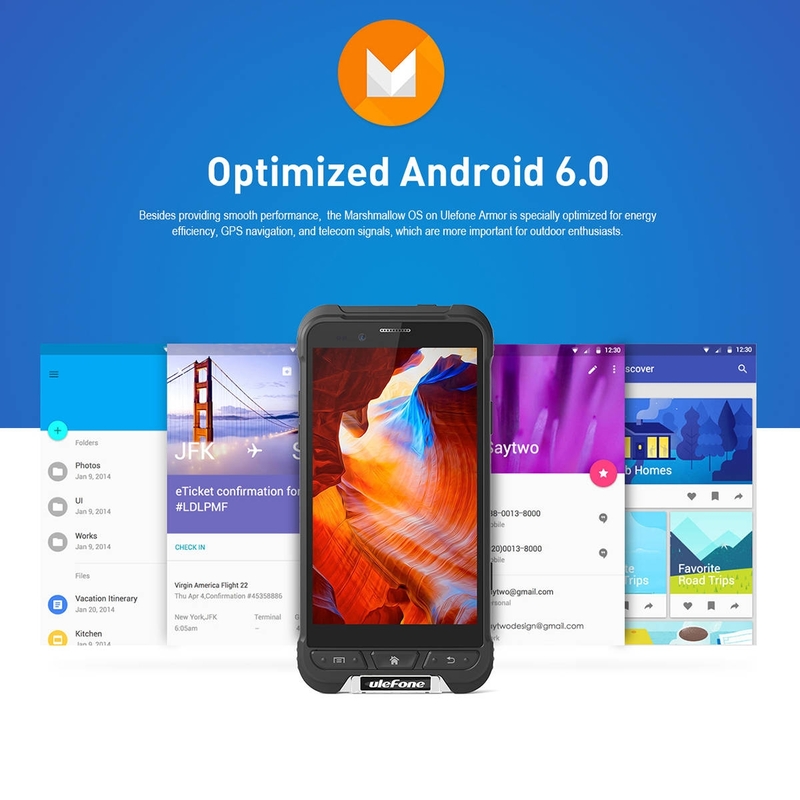 Android 6.0 with 1.3GHz MT6753, Octa-core processor and 3GB RAM + 32GB ROM . 13.0MP Back camera with Auto Focus, supports Full screen mode and Standard (4:3) mode. 5.0MP Front camera, make your selfies more distinctive and nature. 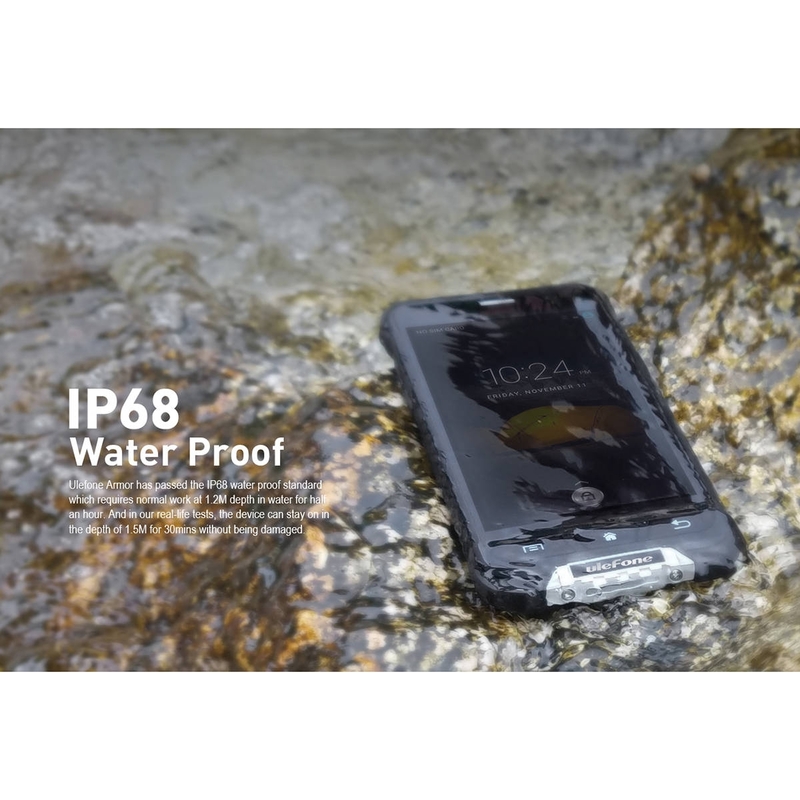 IP68 waterproof smartphone will accompany you in every severe environment. 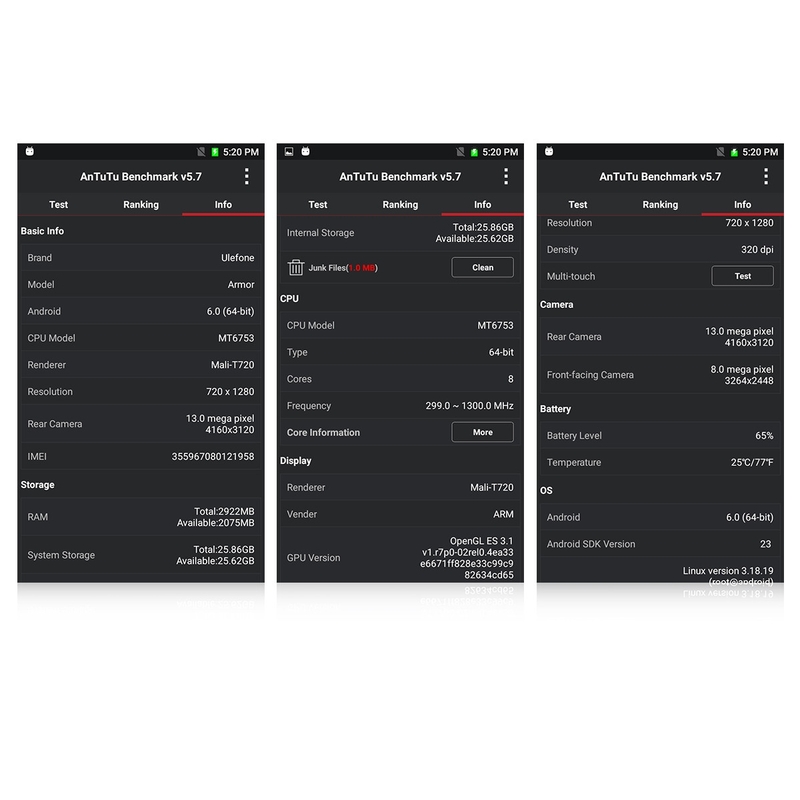 Supports more gestures to launch applications, it will give you a faster and more convenient experience. 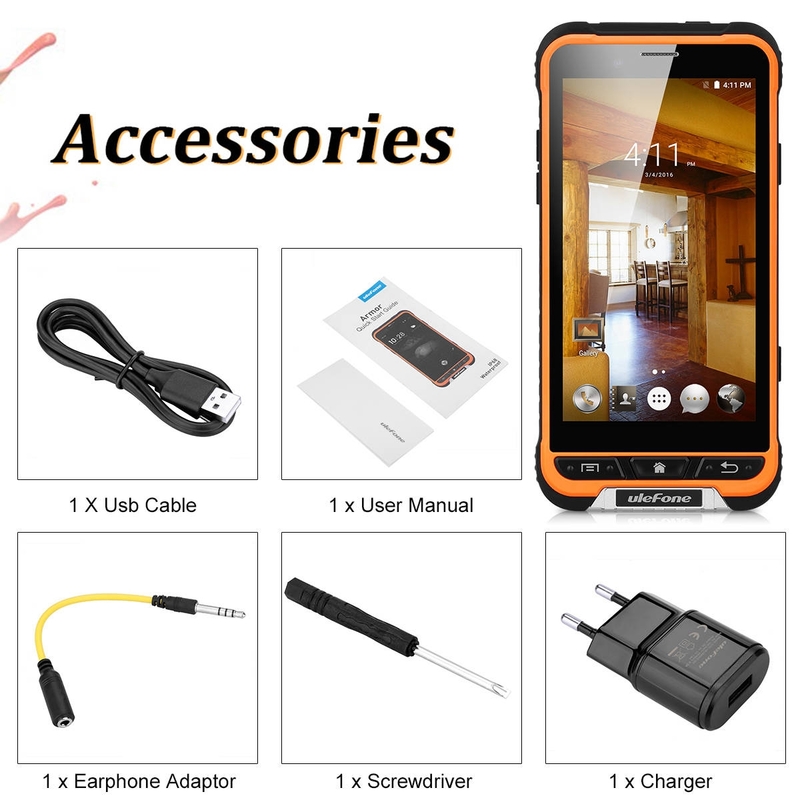 Play Store, Smart Power saving mode, Water proof,NFC,OTG,Tethering & portable hotspot,etc.